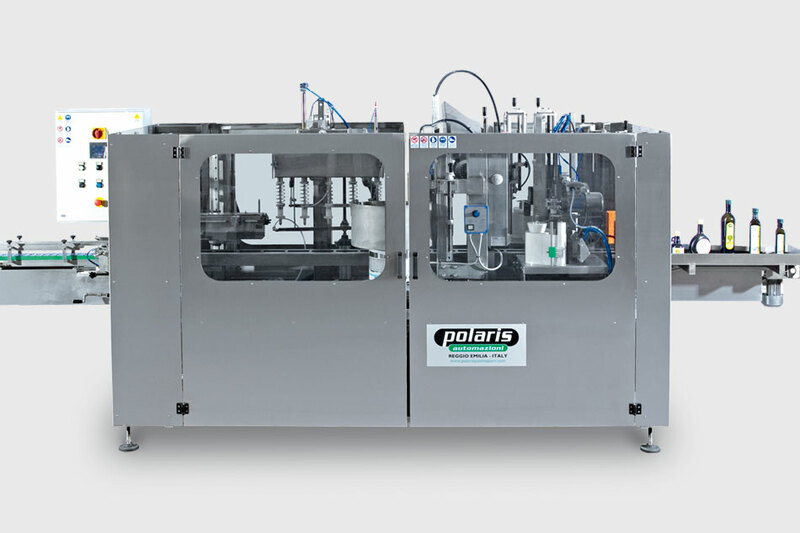 The B3 line offers the same competitive benefits of the Polaris system for handling different bottles and is completed with a specially-designed filling system for the different kinds and densities of vinegar. The entire line consists of a single machine in Monobloc made entirely in AISI 304 stainless steel. All parts coming into contact with the product are made in AISI 316 stainless steel. 5-nozzle bottle blower using filtered compressed air, or nitrogen (filter, pressure reducer and pressure gauge, supplied). Alternatively: 5-nozzle rinser that can use running water or a recycled product. 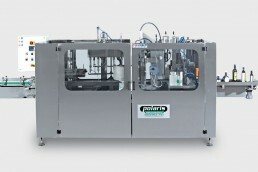 Levelling device to achieve correct level filling of the vinegar in the bottles with the uptaken product fed back to the tank, reaching millimetre accuracy. Batch feeders for bottled flavourings, by volume (liquid flavourings such as olive oil), by weight or number (solid flavourings).